Diving off the Key West in 2008, treasure hunter Mike DeMar discovered a 385-year-old gold chalice from the Spanish ship Santa Margarita. This ship sank in 1622 and was full of buried treasure. Mike DeMar was rewarded with a whopping $1 million. 1989 saw a wealth pursuer from Senora, Mexico discover something very unusual. 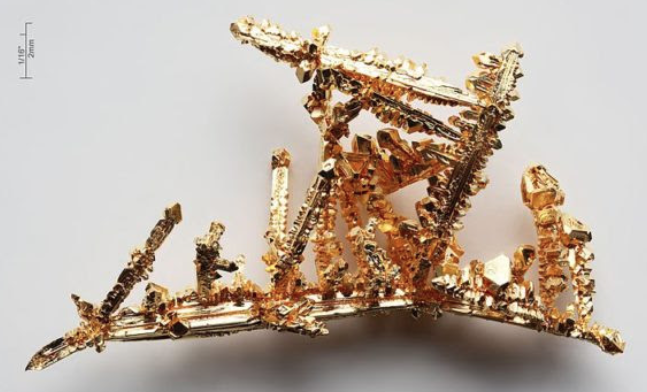 While detecting in the desert, the man discovered a gold nugget which weighed over 389 troy ounces. This nugget was awarded the name ‘Boot of Cortez’ due to its size and remains to this day the largest nugget ever found in the Western hemisphere. In 2008, the Boot of Cortez was sold for $1,553,500 at an auction. If you’re slightly squeamish you might be glad you didn’t stumble across this next find. In Little Bighorn, a volunteer archaeologist discovered a finger bone which was still wearing a ring. 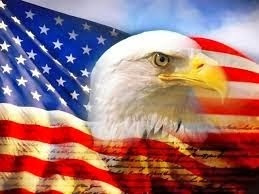 The bone and ring was said to be from 1876 when Sioux had wiped out the troops of Lt. Col. George Custer. 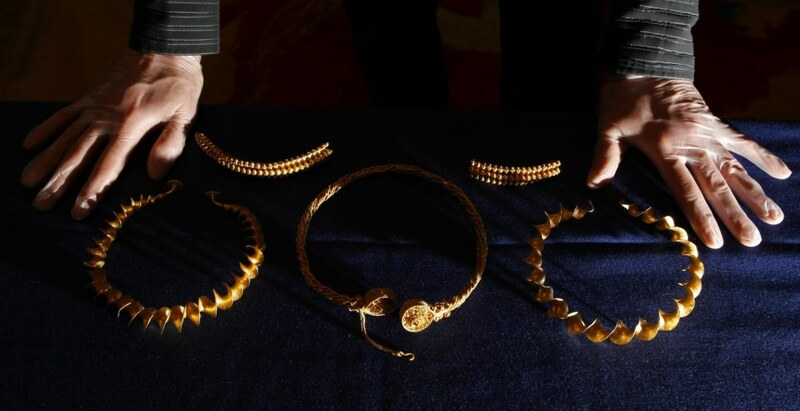 Another stonkingly valuable find, back in 2009 a Scotsman found four golden necklaces from the Iron Age. The necklaces were in perfect condition and one source said that some of the gold wire used ‘is the thickness of your finger’. If you’re wondering how much they’re worth, the answer is, a lot. We’re unsure how much the Scotsman was given, but the value of the necklaces was said to be over $2 million. Historian Steve Hickling from Huyton was hunting for treasure when he discovered a rare Bronze Age axe head, said to be one of only 1000. It’s dated from 1850-1750BC, so pretty darn old. 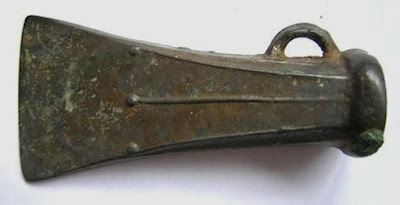 The axe head has been displayed in the Fir Tree Farm shop, where Hickling was hunting for treasure when he found it. Discovering a 2lb meteor is enough for any adult to contend with, let alone a 13-year-old. Jason Lyons came across the 2lb chunk of ‘space rock’ in New Mexico, using a cheap metal detector built by his grandfather. 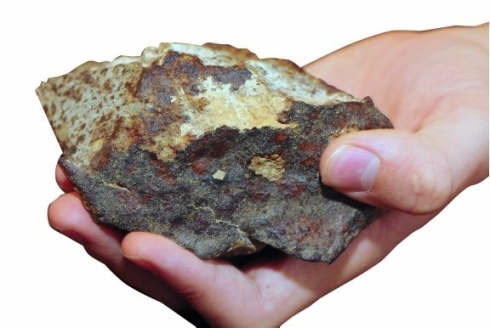 The meteor was revealed to have existed on Earth for around 10,000 years, made of nickel-iron and the second most common (although still exceptionally rare) space matter. 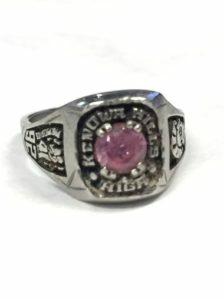 Lost jewelry seems to always find its way back to you, and that’s exactly what happened to Miles Baker, whose lost high school class ring was discovered by Roy Lloyd in 1974. Lloyd found the ring, engraved M.B in four inches of sand. The ring was lost by Baker 48 years before, but was soon reunited with its owner – and they all lived happily ever after! A lot of these finds would be classified as ‘buried treasure’, but Eric Lawes find was slightly more spectacular. While searching for his friend’s lost hammer, Eric Lawes stumbled across silver spoons, gold jewellery and a wealth of gold and silver coins. With two bags full of the goodies, Lawes reported his find to the council. The next day, 7.7lbs of gold were unearthed by archaeologists, alongside 52.4lbs of silver. 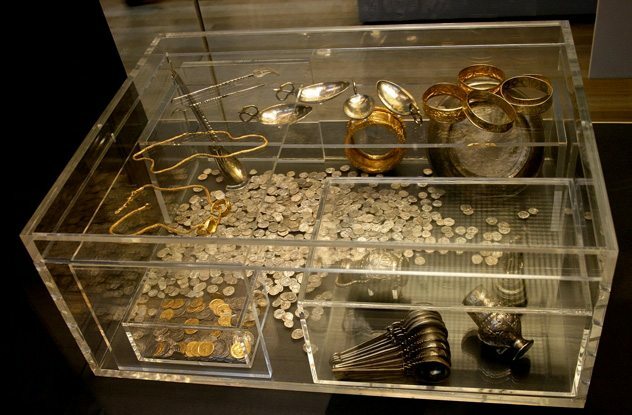 The coins were buried no later than 450 AD, and the whole hoard was worth around $2.59 million. For those of you who are concerned, the friend’s missing hammer was also found. Cliff Bradshaw, an amateur treasure hunter had already found several seventh century artefacts in an English wheat field, and had an inkling he would find something more. Well, if there’s one lesson we can learn from this, it’s to trust your intuition. 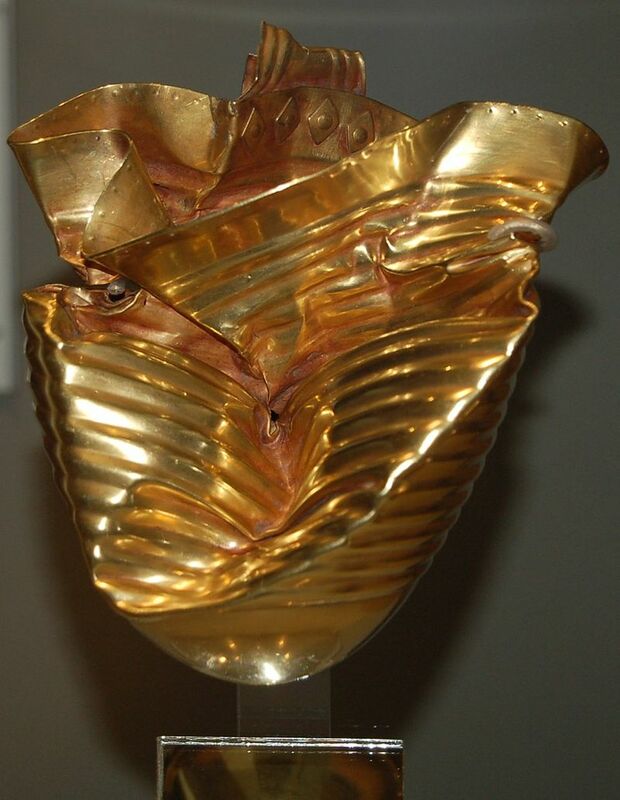 Bradshaw was right, digging 18 inches before discovering an ancient gold cup. The cup, made between 1700 and 1500 BC, delighted historians. Despite being crushed by modern farming equipment, it’s still remarkably intact – hammered from a single piece of gold. The cup was purchased by the British museum for $520,000. Made of gold, glass and sapphire, the ring Michael Greenhorn discovered in 2015, may have been owned by 5th century European royalty. Found in Escrick, Yorkshire, the ring was difficult to date, with 30 experts trying to get their head around the piece of jewellery. 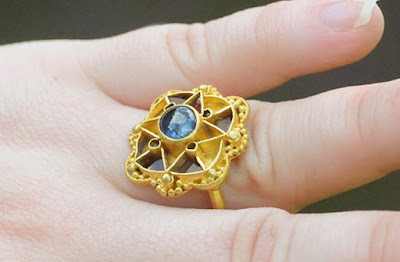 Perhaps most baffling, the sapphire had been cut centuries before the ring had been actually made, with the ring created solely to display the sapphire. The ring was purchased by the Yorkshire museum for $44,132. Another discovery in an English field were dozens of pieces of a 1,800-year-old helmet. The metal detectorist who found the fragments brought them to an auction house where over 200 hours were spent putting the helmet together. The finished helmet is everything you might expect from a helmet that old. 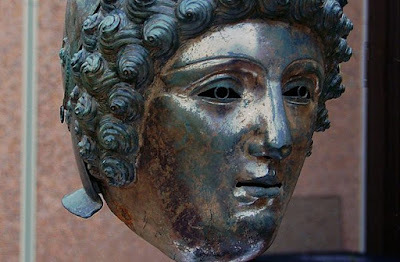 It features a Roman face mask attached to a bronze cap with a griffin crest. The helmet proved hugely popular at auction, eventually selling for $3.6 million which was over 10 times its estimated value. 2007 saw father and son David and Andrew Whelan find something significant – a single coin. While this might be enough for some, the persistent pair kept digging, eventually unveiling a wealth of gold and silver Viking treasure. The treasure was found in a North Yorkshire field and was worth around £750,000. The pair took half the money, with the farmer whose field it was found on keeping the other half. 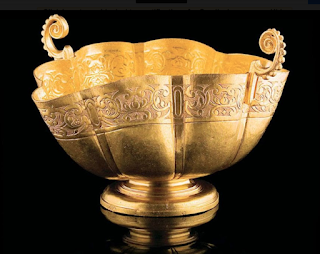 The treasure has now been displayed at the British Museum and consists of a decorated gilt and silver cup, 617 coins, a solid gold arm ring, brooch pins and other lumps of silver. 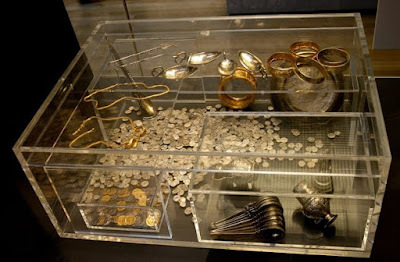 The hoard belonged to a Viking noble and was likely buried for safe keeping.